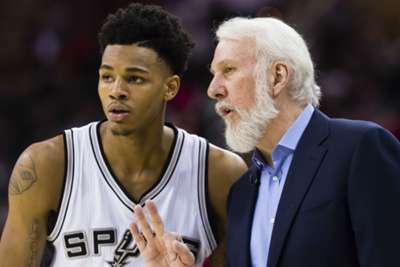 San Antonio Spurs guard Dejounte Murray is out indefinitely after tearing his right anterior cruciate ligament in a preseason game on Sunday, the team have announced. Murray suffered the injury in the second quarter of the Spurs' 108-93 loss to the Houston Rockets, with San Antonio stating that a return date would not yet be determined. The 22-year-old had been tipped to be the Spurs' starting point guard this season, but Patty Mills is now likely to take over the role in his absence. 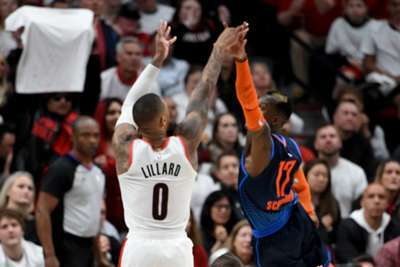 Murray averaged 8.1 points, 5.7 rebounds and 2.9 assists per game last season, when he and Mills split the workload behind veteran Manu Ginobili, who retired in August.